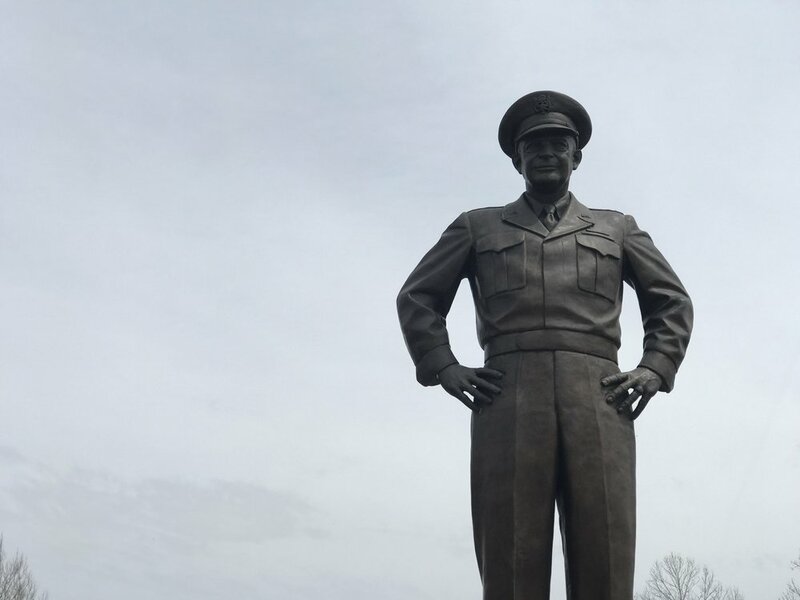 Gen. Dwight D. Eisenhower looms over the plaza at the Eisenhower Presidential Library and Museum in Abilene, Kansas. There was Gov. Alf Landon, who was buried under Franklin Roosevelt’s landslide re-election in 1936. His daughter, Nancy Landon Kassebaum, served three terms in the U.S. Senate, earning a reputation as a moderate willing to work across the aisle issues affecting middle class families. There was Bob Dole, who led his party in the Senate and was its presidential nominee in 1996. Bob Dole was in the crowd in Abilene for Eisenhower’s homecoming. Badly injured fighting in Italy, he’d spent years recovering in VA hospitals, and he also believed government could do great things. He joined Eisenhower’s Republican army and rose in its ranks over a long career.